Nothing could be sweeter than mermaid kisses! 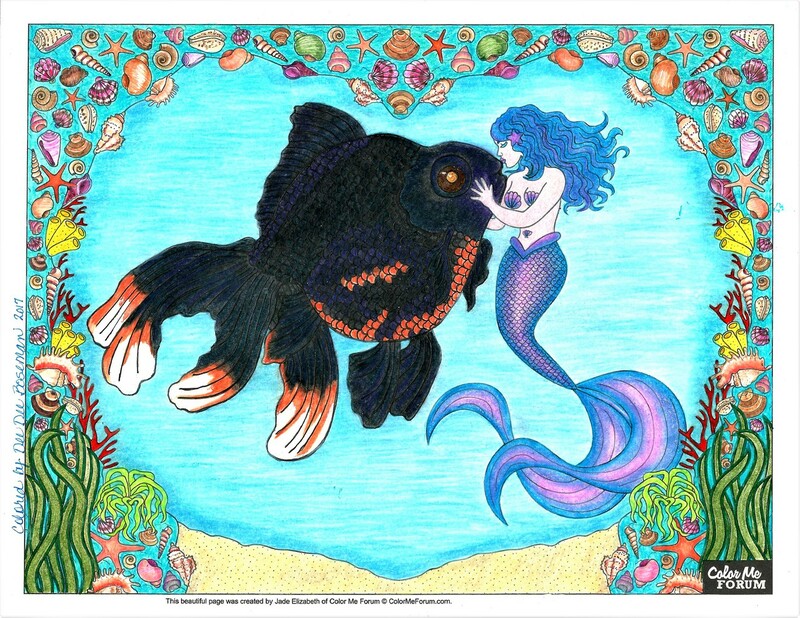 This lucky Blackmoor goldfish has found love underneath this beautiful heart arch of shells made by the mermaids themselves. Give these two lovebirds the kiss of life as you color them! This is an awesome page!!! It can be colored as simply or as detailed as you like. Mine started out to be simple but then I started adding little details and loved it!!! So I kept adding!! I truly enjoyed this page. See my version below.